Mehndi is an important part of the culture of several Asian countries. Mehndi tattoos apply on the foot are as common as those upon the palms. 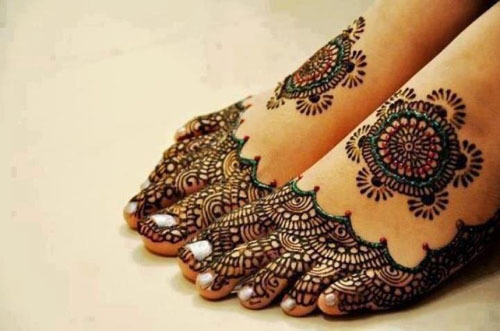 Applying mehndi on foot is important for an Indian or Islamic bride in most instances to make the ceremony auspicious. Although, there are plenty of designs available on the internet for foot mehndi design but how do you figure out which design is suitable for which function as well as, a design that can act as inspiration for your design? The questions are many and the doubts unreasonable so what do you do, well We help you figure it all out. 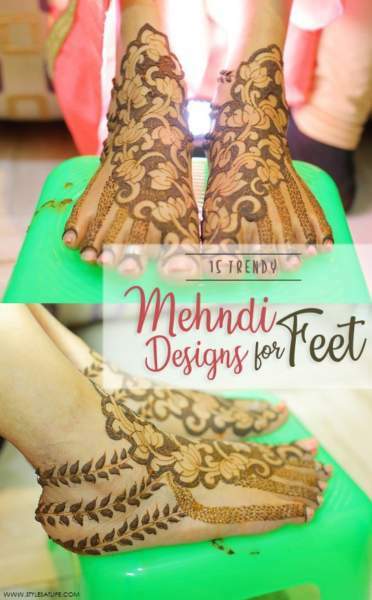 Here are the 15 best foot mehndi designs with images for you to choose from that are described in detail with their event and occasion suitability. 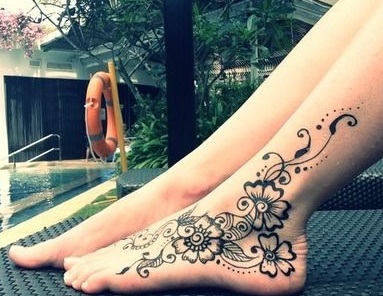 A mehndi pattern of flowers and leaves wounding upon the foot looks feminine and pretty. The flower outlines are prominent and the inside is shaded with lines. Spirals ending in dots add an artistic touch to the design can make the mehndi design more alluring by adding color to it. A blue colour adds a regal look to the entire mehndi design. Suitable for which Function: Suitable for parties or family functions. Pair with: Pair with indo-western outfits or traditional outfits. While most mehndi designs are elaborate and complicated, there are simple variations too. A simple peacock style motif filled with Indian style pattern at the centre and paisley style design on the fingers. The outline of the major shapes is concrete and prominent while the inner detailing is done intricately. Suitable for which Function: Most apt for family functions as well as festivals. Pair with: Pair the design with traditional outfits. An elaborate design made with beautiful flowers and intricate curves and patterns starting from toes and stretched till the calf is the kind of mehndi that is generally preferred by the brides. 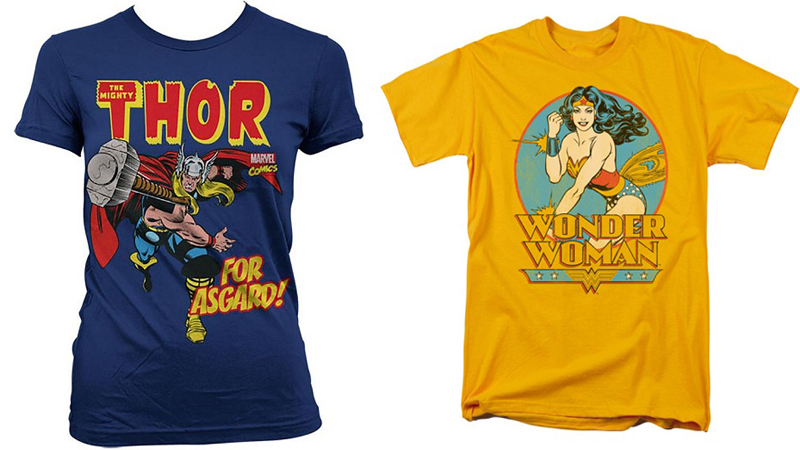 These designs look perfect for the occasion because they are excessively ornamental. It takes a lot of time to apply and would need the patience to get it done. Suitable for which function: Most appropriate for engagement or wedding ceremony. Pair with: Pair this design with a heavy lehenga or saree. Floral patterns with a net-like design in the middle of the design are excessive detailing gives a simplistic yet elegant look. 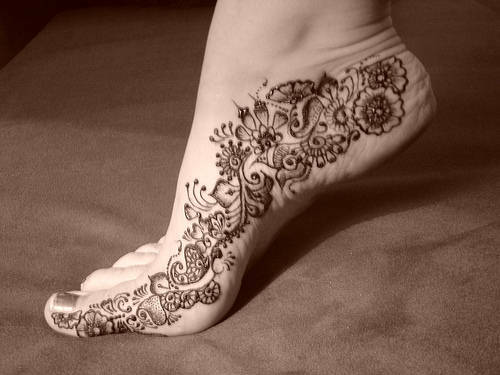 The mehndi patterns starts from the toes, around to the ankle and stretched till the leg. This mehndi design intricacies make the Henna art looks more appealing and elaborate. Suitable for which Function: Good for a family function or engagement ceremony. Pair with: Pair this with a beautiful saree or an indo-western outfit. Abstract Mehandi designs feature geometric shapes placed strategically to give a beautiful overall look. Paisleys and floral pattern have been designed and is stretched till the leg, fingertips have given with paisley and dotted pattern to highlight the design and this will be a good choice for weddings. Suitable for which Function: Apply it for a party or for the engagement ceremony. Pair with: Pair with indo-western outfits. Thick outlines with small and numerous patterns and designs within the border have an overall artistic look. The Mehendi design itself looks complicated and is yet easy to apply. Just arbitrarily keep adding spirals and circles and triangles within the outline of the basic shape of mehandi design. Pair with: Pair with traditional Indian outfit. Floral and paisleys patterns running along the side of the feet around the ankle make it look feminine and fancy. The black colour of the mehndi stands out against the lighter tone of the skin dotted lines have been given to highlight the henna art, mehndi keeps attracting the attention of everyone. Suitable for which Function: This design is good for parties and family functions. Pair with: Pair this design with a slit Indianized gown or indo-western outfits. Plain design with simple flowers and leaf mehndi pattern looks very beautiful. The outline and the intricate design both have done in the same thickness, and there is a consistency throughout the design. Simple flower with dotted design has been used on the tips of the fingers to make the design look adorable. Suitable for which Function: Perfect design for festivals and family functions. Pair with: Pair this design with an indo-western outfit. The common mehndi tattoos have the typical reddish brown colour of henna but an excellent design is one that includes color with the normal Mehandi. A red colored mehndi design looks unique and magnificent floral patterns with a red colored background or border gives the design an individuality that sets it apart from the rest. Suitable for which Function: Suitable for a family function or engagement ceremony. Pair with: Pair this with a traditional Indian outfit. The outline of the design starts from the toes and stretched till the leg that makes the feet alluring. This henna tattoo is applied to the palm and lower arms. This specific mehndi is exceptionally prevalent in a large portion of the Asian nations where mehndi extremely fundamental part of the way of life. Suitable for which Function: This design is suitable for engagement or marriage ceremony. Pair with: Pair this with a traditional outfit. This simple floral pattern resembles a tattoo which is one of the most selected designs by all the ladies. 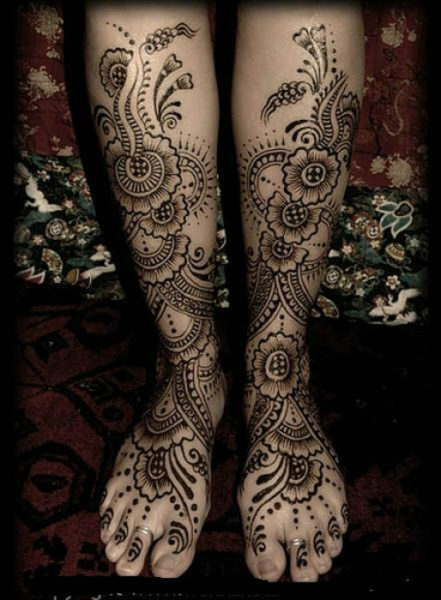 The dark mehndi design emerges against the lighter tone of the skin that makes the feet appealing. This design includes floral and leaf pattern along with few dotted mehndi arts gives a flawless look. Suitable for which Function: Apply this design for party or family function. Pair with: Pair with a western or an indo-western outfit. This design includes floral, leaf and circular pattern throughout the legs which is specially designed for brides. The outline is wound up with specks which include an imaginative touch; peacock with feathers has been designed in the middle of the mehndi art. People who prefer to fill their legs with mehndi can go with this design. Suitable for which Function: This design is perfect for a marriage ceremony. Pair with: Pair with a very heavy traditional ‘gharara’ or ‘sharara’. This is one of the Simple Mehendi designs for the feet. Floral patterns with a beaded Mehendi design gives a simplistic but elegant look, it acts as a relief from excessive detailing. 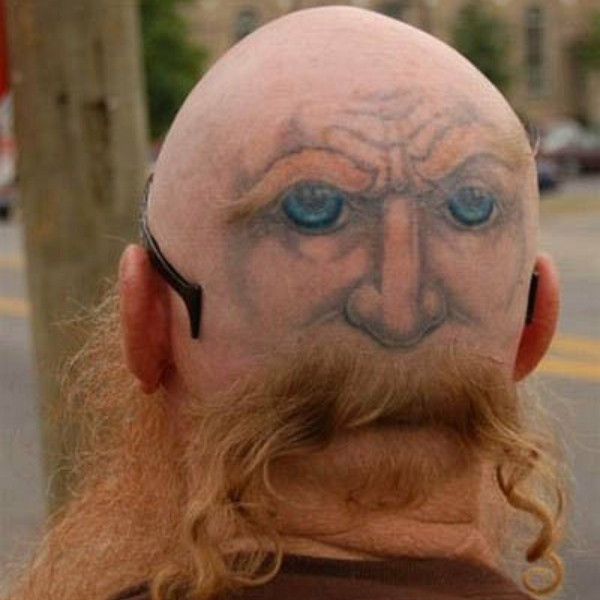 This design looks like tattoos which are generally opted by brides because this is as same as an ornament. This is same as anklet design. Suitable for which Function: This design is good for parties and festivals. Pair with: Pair with an indo-western outfit with nice footwear. This outline resembles a detailed anklet with various formed diamonds holding tight it. What’s more, the whole foot is secured with blooms and leaves, which reach out to the center of the legs. The rich outline highlights some geometric shapes which are set deliberately on the design to give an exquisite look. Suitable for which Function: Suitable for engagement and family functions. Pair with: Pair with a heavy traditional outfit. People who prefer minimal Mehendi design can choose this pattern. This henna art is one of the immense cases of Rajasthani Mehendi outline. In this, it is included with regular “mirror reflecting workmanship” where the Mehendi design on both the feet is same. This has thick paisleys with various floral pattern. Suitable for which Function: Suitable for family functions and festivals. Pair with: Pair with a traditional or indo-western outfit. Do not shy away from experimenting when you apply foot mehndi designs cause even if you mess up, you can always cover your feet with sandals or shoes. Choose a design that will look good with your outfit and the ornaments you are planning to wear. Also, make sure to keep the event and occasion in my mind while getting the mehndi done so that it doesn’t look overdone. Apply bright coloured nail paint to enhance the look and beauty of your look along with your foot mehndi design. In India and several other Asian countries, mehndi is part of the culture and tradition. Applying mehndi is an essential part to complete the rituals of a wedding ceremony in most Hindu and Islamic cultures. Mehndi will also be applied to the hands and feet of the ladies for all the occasions specifically for weddings. 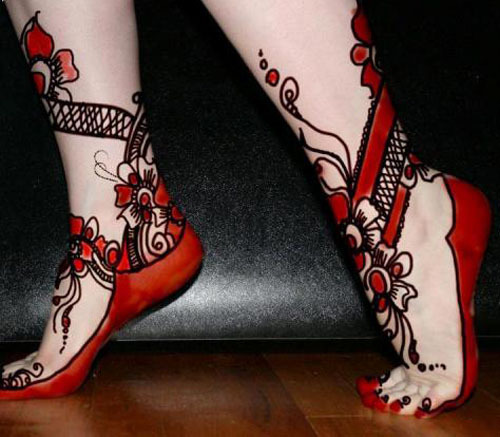 The outline of the feet can be totally planned with the one on the hands or can be diverse as well with the dark, red and orange henna. A woman is incomplete without applying henna if she is getting ready for any occasion. 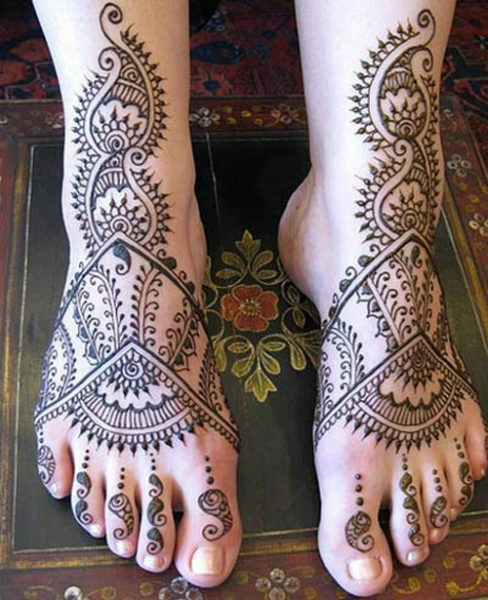 These latest foot mehndi designs are look beautiful and stunning for wedding and festivals.